on the historic Forth & Clyde Canal. the eastern gateway to the Forth & Clyde Canal. 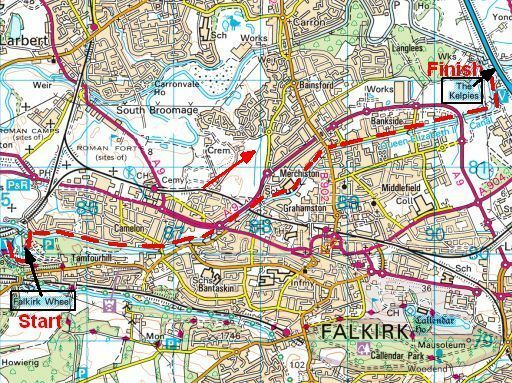 waterways ever constructed in Scotland. parkland, which is a great pace to explore at the end of the walk. • Start: Falkirk Wheel... Finish: The Kelpies. also be seen) to make it a pleasant stroll. (be prepared to get wet). established attraction, having been opened by the Queen in 2002. 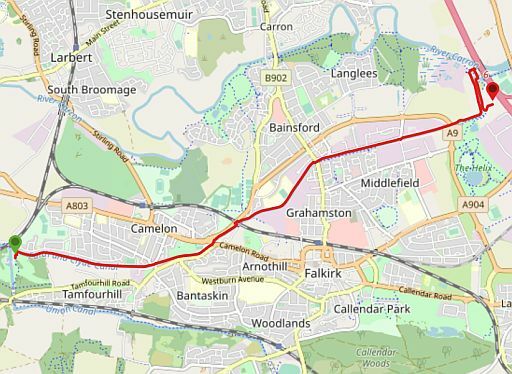 Forth and Clyde Canal with the Union Canal. of how industrial ingenuity and nature can make a good spectacle. DISTANCE: 13 km ( 2 keer bijna 7 km). TIME: 3 to 4 hours. PARK: At the Kelpies car park. .......... follow the signs to the end of the access road. Forth and Clyde Canal and go right, towards the Kelpies. low wooden bridge and turning left. other side of the canal, which leads to the Falkirk Wheel. The Falkirk Wheel is only seen at the last minute. To reach it cross a wooden bridge marked “09”. Falkirk Wheel, as well as a couple of canalside eateries and pubs. an enjoyable way to break the walk (www.thefalkirkwheel.co.uk). (wet and dry) playgrounds (www.thehelix.co.uk). 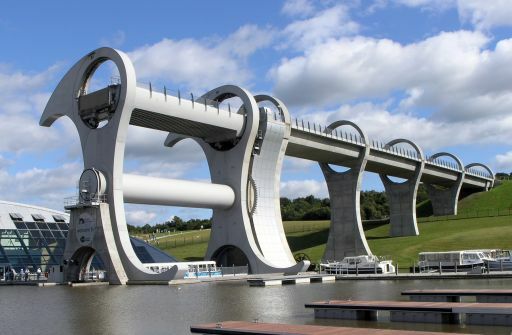 • Falkirk Wheel boat lift. 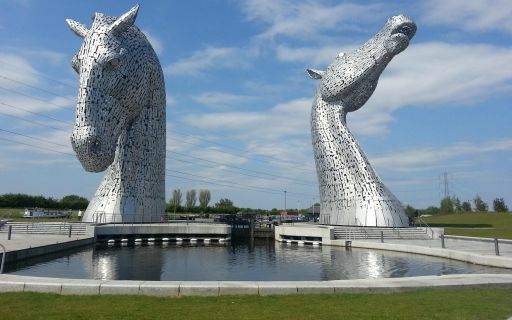 • The Kelpies equine structures.